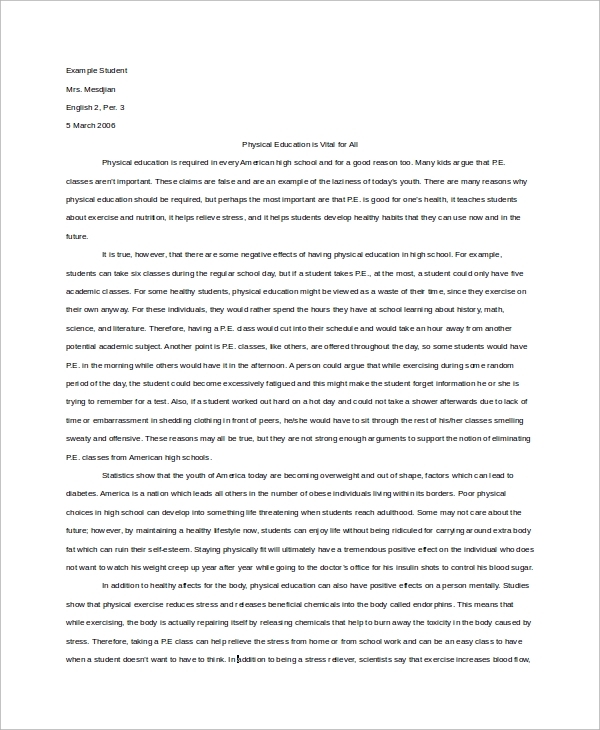 Persuasive essays are quite a popular form of essay writing whereby a person has to convince the readers to his/her point of view through his/her words and reasoning. It is more like an argumentative essay but it is not strict, and it aims at convincing people with the right words of persuasion. The following persuasive Essay Samples will illustrate how to write such essays with ease, and they are useful for students at schools and colleges as well as in the corporate world. This is a great sample of the persuasive essay for high school. In high school, regular exams have essay writing test and those who prefer persuasive essay, should go through it to understand how to write them with perfection. This example explains what an argumentative, persuasive essay is and how to form its structure while writing them. It describes the precise transitions and logical flow and the ingredients needed. It provides multiple examples and whole samples to clarify the points. This is a set of examples of persuasive essay introduction. It provides all the guidelines as well to write an impressive introduction for a persuasive essay. 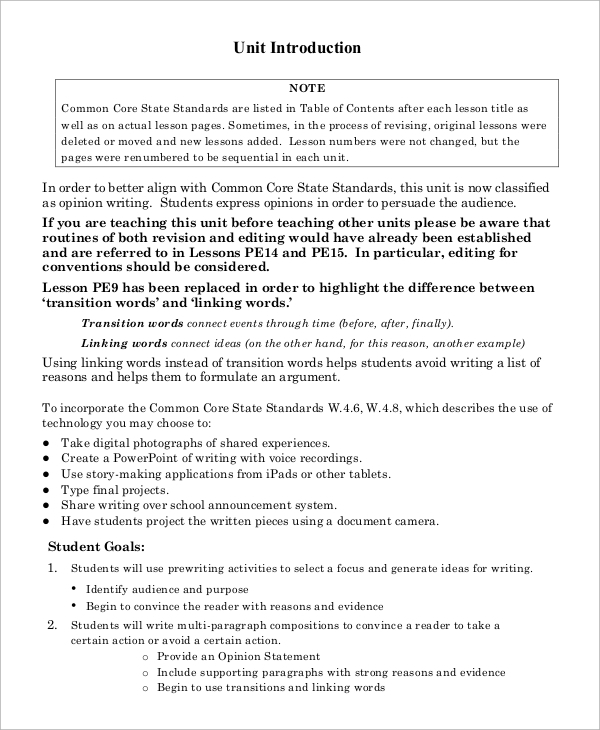 It states how to make a draft and the points to include, how to organize and present the final introduction with multiple example and illustrations. 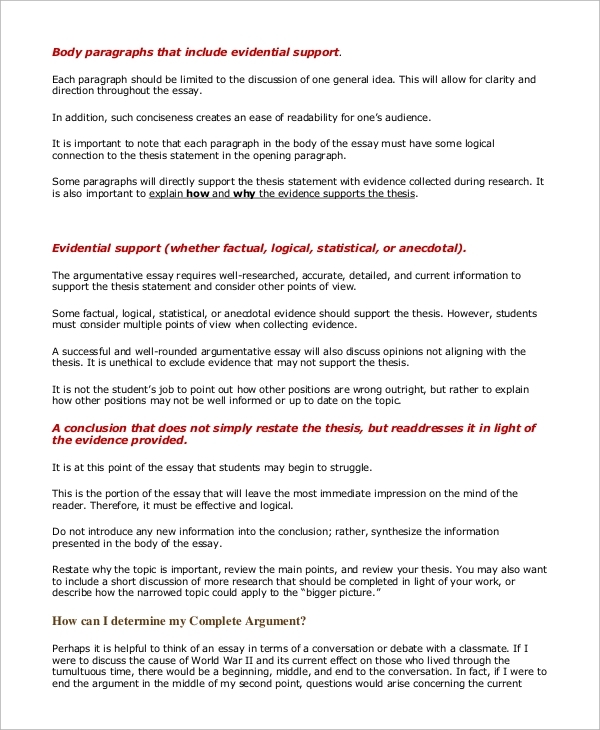 This is a full manual on how to write a persuasive essay thesis statement. It explains the purpose of writing them, what should be the content, how to organize everything, the type of introductions possible and what they should contain and the error that most commit while writing them. 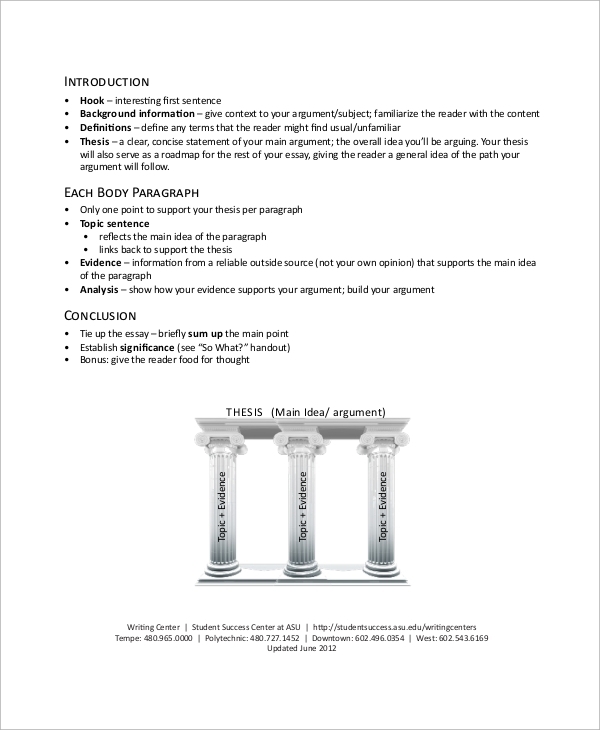 This is a complete document that mentions how to make a perfect persuasive essay outline with illustration. 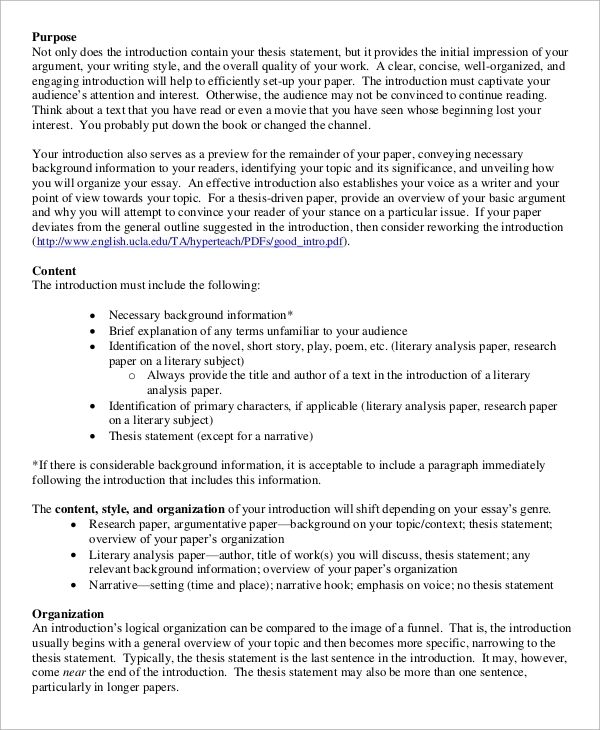 It starts with the introduction and moves on to what the body of the essay should contain, and how to write the best conclusion. It presents everything through a diagram model. 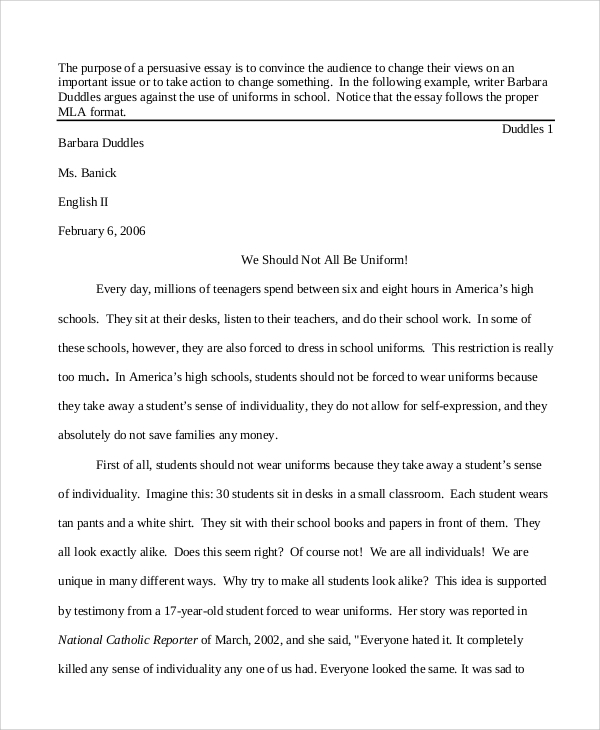 Persuasive essays are a regular thing for high school and college students. They are useful in obtaining Scholarship Essay through contests. The above examples outline how to write such essays with a logical flow and smooth transition. They provide a lot of examples of introduction, conclusion, and presentation of the body with a smooth flow and connecting dots. Thus, this sample will offer you with all the ideas about how to write such essay easily and quickly. The targeted audiences for persuasive essay examples are the students of high school and colleges who want to participate in an argumentative and persuasive essay competition. They are mandatory for scholarship contests that are held to aid students. Corporates and politicians also need them to persuade people to their side and it also can help the higher management to understand the different strategies so that they grant them. 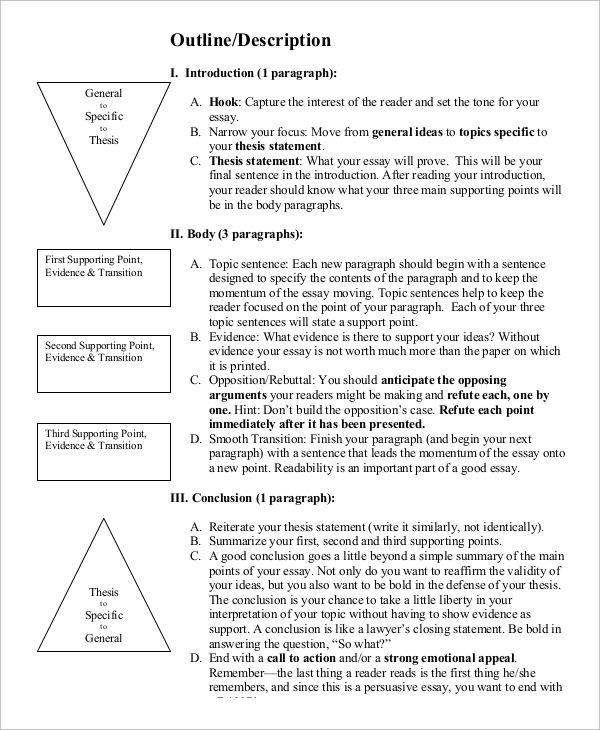 The above-listed persuasive essay examples state what persuasive essays are, what are the ingredient they possess, how to write a stellar introduction, how to proceed with the body, what are the research to be done, what are the words to be used and how to write an impressive conclusion.